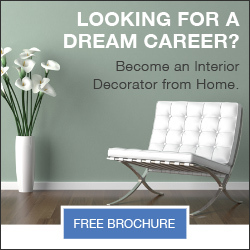 I always get questions about credible online interior decorating courses, and I haven’t found one till I came across the program by QC Design School. The nice thing about this program is that it really thorough, from layout plans to textiles, to styles, colors, and most importantly it teaches the business aspect of design so you can monetize your decoration work. At the end of the course you will receive a certificate and they have some nice offers if you want to take more than one course. You can add a Feng Shui course or Staging Design course and get a dual certificate at a very good price. For payments you have 2 options: either pay in full $1348 or 12 month installments of $124. 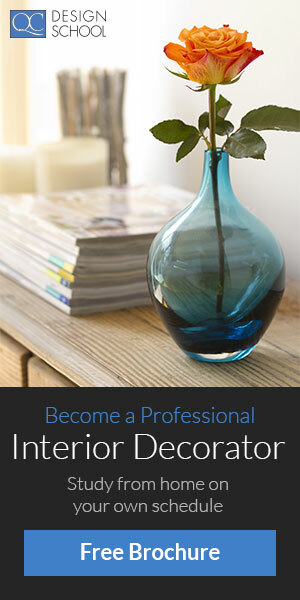 Our Interior Decorating course teaches you how to create custom interiors from the ground up. This includes how to assess your client’s needs and prepare designs involving floor-plans, wall treatments, furniture placement and more. Step-by-step videos featuring QC tutor Angie Chapman will guide you through the process of creating a professional floor-plan. You’ll learn about color theory in home design and about a wide range of different international and historical design styles, such as Southwestern and Art Deco.